This past two weeks has seen lots of very admirable people raising money for Sport Relief and Royal Bay didn't miss out! 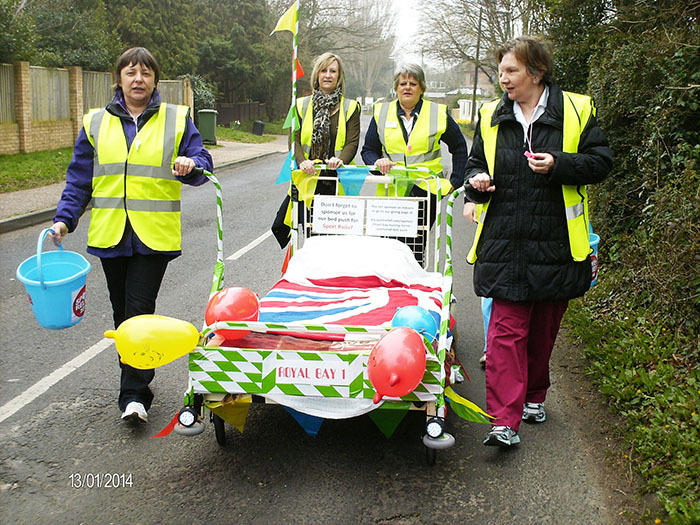 It all started with Royal Bay Nursing Home's 'Sponsored Bed Push'. With the help of the maintenance men purposefully kitting out an old bed, some of the Home's dedicated staff, including our Manager Jan Evans, pushed a bed all the way from the Nursing Home, on Barrack Lane, all the way to the Royal Bay Residential Home, on Aldwick Road, and back! Totalling an impressive 3.6 miles, the ladies got waved off by a small collection of Residents, only to be welcomed by the staff of the Residential Home a short while later. Stopping for a short respite (pun intended) and headed back home! Braving the the coastal elements and collecting money along the way, everyone involved put in a huge effort, spreading a few smiles along the way. This was then followed up a week later by Royal Bay Residential's very own Kara Clacy! 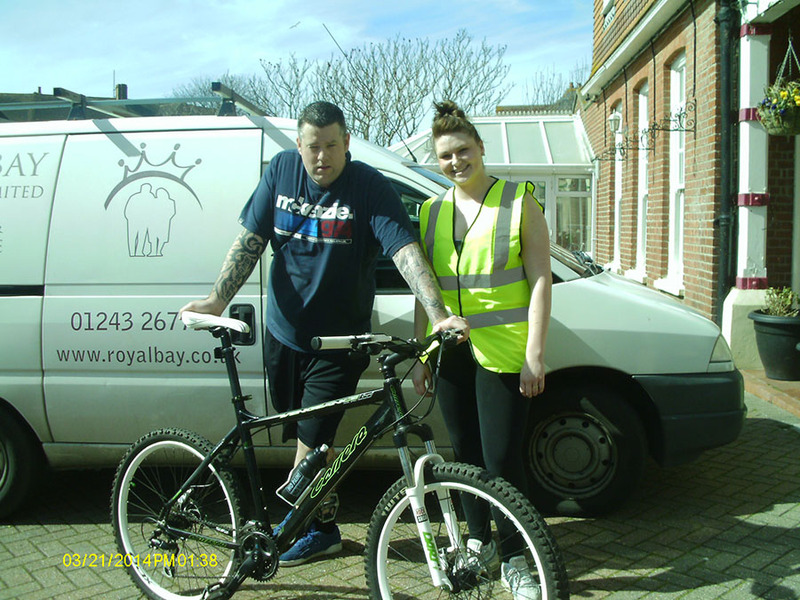 After weeks of canvassing for sponsors, on a brisk spring Friday morning she donned her lycras, trainers and high-vis jacket and accompanied by our Deputy Manager, Craig, on his bike, Kara set off on her 10km run. Returning in a very applaudable 1hr 15 mins, Kara did a fantastic job and her colleagues were all very proud. Raising a huge £400, I'm sure it's safe to say she made an amazing contribution to Sport Relief this year. Congratulations and big Thank You to everyone that was involved!